We carry two indoor flagpole stands to choose from. Both stands are constructed from plastic with a metallic finish. 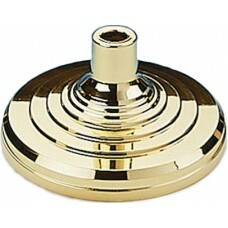 The general indoor flagpole stand is our most popular option because it has a glossy metallic gold finish which matches all of our flagpole ornaments. 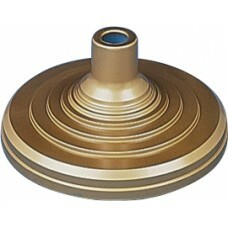 The Sergeant stand is slightly less expensive and has a satin bronze finish. Both stands are hollow in the middle with an opening where you can add sand or water to provide weight for the base. We sell the bases unweighted to save customers money on shipping costs. Either stand will support your indoor flag presentation for years to come and maintain their finish over time.